FREE Folgers Gourmet Selections® K-Cup® Packs! You are here: Home / FREEbies / FREE Folgers Gourmet Selections® K-Cup® Packs! 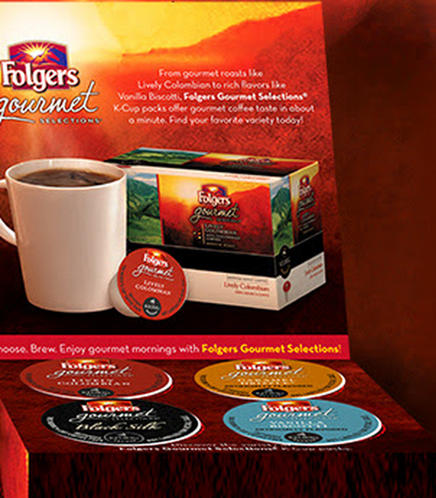 You can get a FREE Folgers Gourmet Selections® K-Cup® pack! Treat yourself to Black Silk, Vanilla Biscotti, Caramel Drizzle®, and Lively Colombian coffees for FREE!